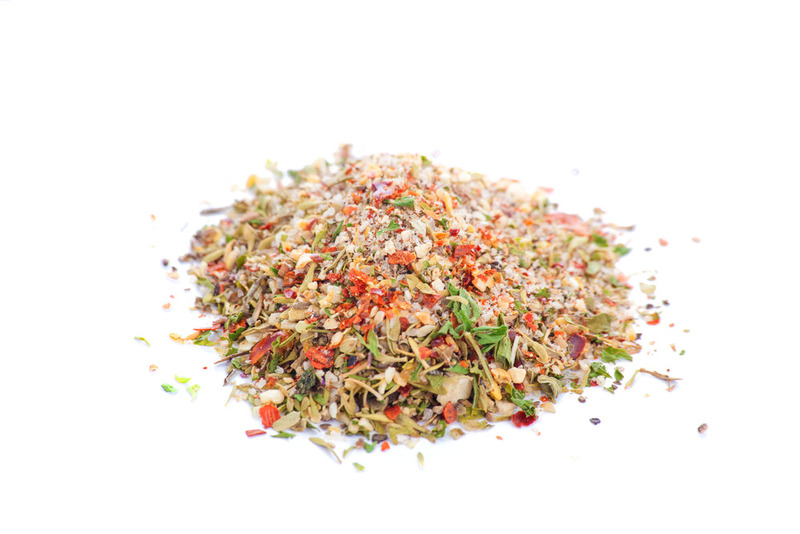 LFK is all about providing all natural, freshly ground and handmade spice blends to simplify and elevate your home cooking. Chelsi and Sean Lemaster are a husband and wife duo who began Lemaster Family Kitchen, LFK, with the goal of making everyday home cooking affordable and easy. Sean has worked all of his life in restaurants and bars in positions from busboy to manager. Although spending most of his time as a bartender, Sean has always taken a serious love for food and the art of cooking! Working for several great Chicago chefs, Sean always had one eye on the kitchen and picked up as much knowledge and know how as he could. Since Chelsi spent her time during the day working with people with disabilities, she was always happy to come home and test Sean’s creations and keep him humble after a long day’s work. After experimenting over the course of a couple of years, Chelsi and Sean developed four seasonings that they just had to share with the world. They wanted everyone to be able to make all kinds of international meals with just four pouches of goodness and whatever was in the refrigerator or pantry. Rub it Right: A coarsely ground selection of peppers, herbs, and root vegetables PERFECT for your next BBQ regardless of the protein! But you know what? It’s perfect for everything else too. Go ahead, throw it in pasta, veggie sides, skillet scramblers, marinara sauces, cocktails (the possibilities are surprising and endless). This is a red curry mix (that packs some heat!) With a unique blend of ground red chilies, curry, freshly ground coriander seed and root vegetables, it’s perfect for braised meat or coconut shrimp soup. 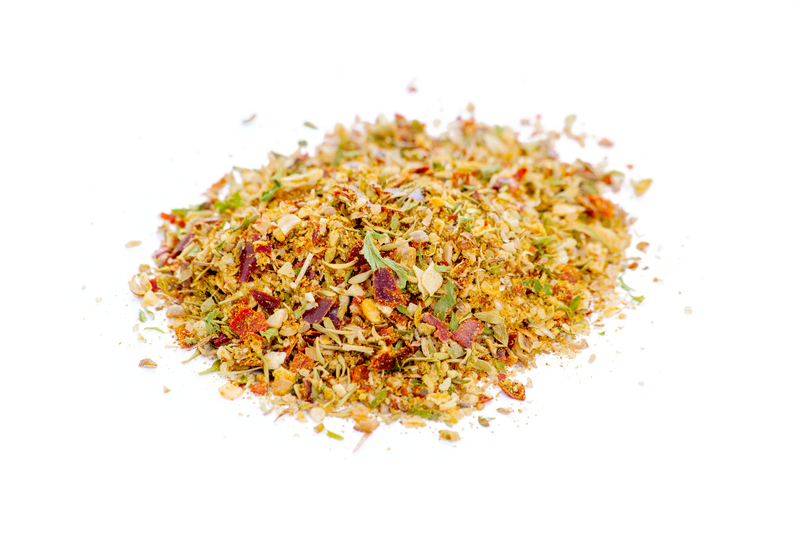 With influences from India to Thailand, this spice blend has you covered! 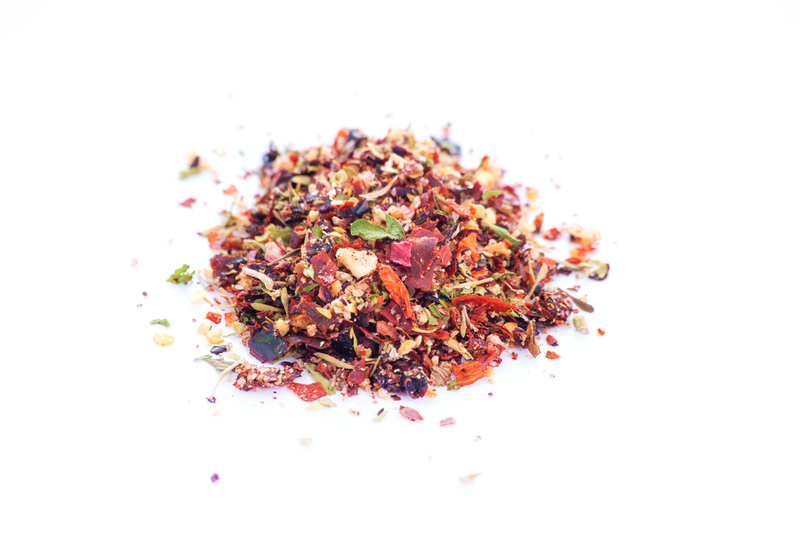 A blend of roughly ground root vegetables and herbs with a hint of arbol chili pepper. 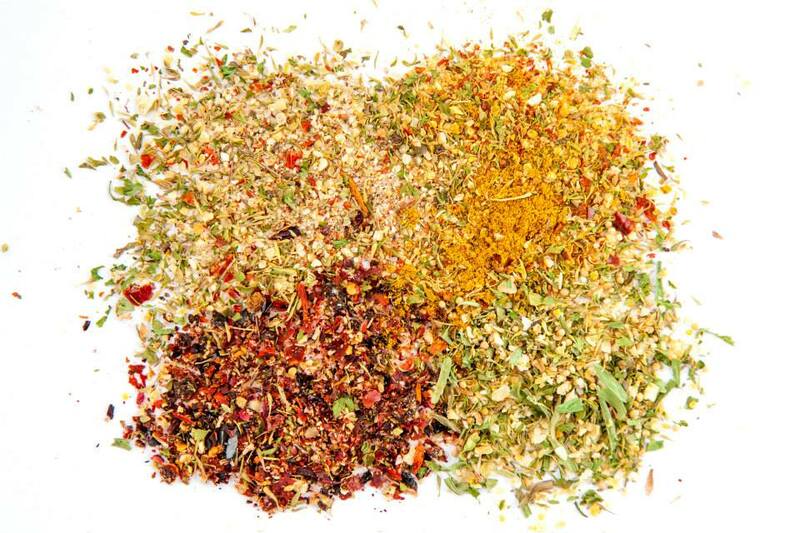 Combine this mix with olive oil and vinegar for a spectacular marinade or dressing. Perfect for your backyard bbq – from burgers to kabobs, you can’t go wrong! Need a side dish to your protein? Add some of this blend to any veggie for an extra “wow” for your party! This is some Southern French Country lovin! 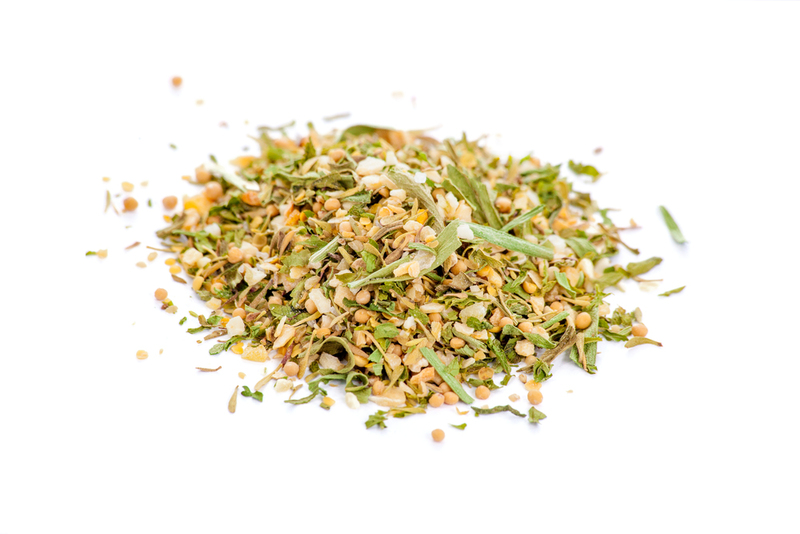 With an assortment of dried herbs, freshly ground mustard seed, and root vegetables, you can use this blend on anything from escargot to lamb chops. You can also pat some on a turkey breast for lunch meat that’s out of this world!